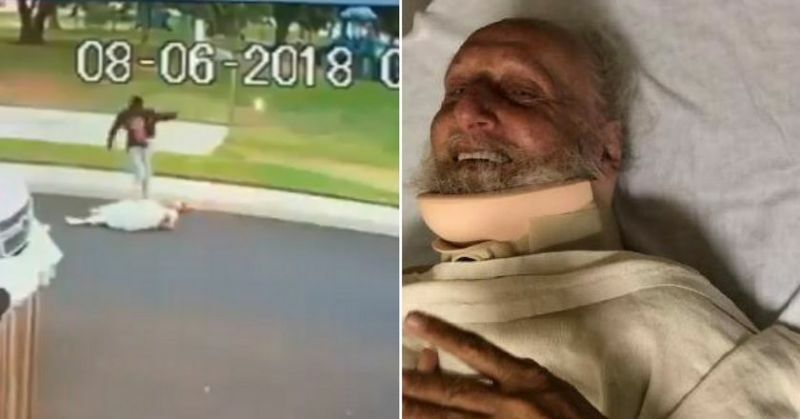 A 71-year-old Sikh man was brutally assaulted and spit at by two unidentified men in the US state of California, the second attack on a community member in about a week that has raised concerns over increasing incidents of hate crimes in the country. Disturbing footage from a surveillance camera shows Sahib Singh Natt walking alone on the side of a road early morning on August 6 in Manteca, California when two men, wearing hoodies, walking from the opposite direction approach him. Natt stops on seeing the men and the two men are seen talking to him. Singh then walks past them but they continue to follow and talk with him. After a brief argument, one of the men, who is wearing a black hoodie, suddenly kicks Natt in the stomach and the elderly man falls down on the road, with his turban coming off. He tries to get up and defend himself but the man again kicks him in the stomach. Natt falls on the road as the man who attacked him comes close to him and appears to touch his face and spit on him. They then walk away as Natt is lying on the road. A few seconds later the man in the black hoodie runs back and viciously kicks Natt three times near his head as he lay on the street. He then starts leaving again, pauses, turns around, and then spits at Natt. This is the second attack on a Sikh man in about a week in California. 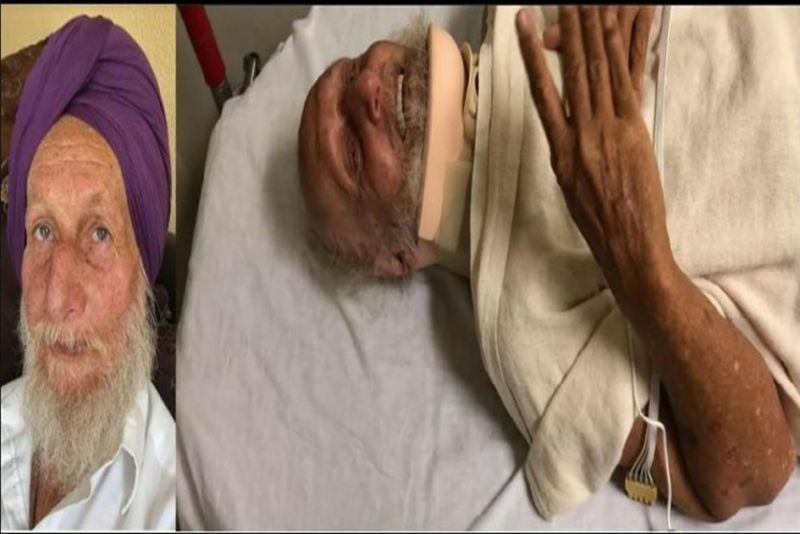 On July 31, 50-year old Surjit Malhi was attacked while putting up campaign signs in support of incumbent Republican Congressman Jeff Denham and other local Republican candidates. While beating Malhi, the attackers yelled "Go back to your country! and spray painted the same message, along with hate symbols, on his truck. Local police are investigating the incident as a possible hate crime. Sikh advocacy group The Sikh Coalition wrote on their Facebook page that while it does not have any immediate evidence that the attack on Natt was bias-related, the group is quickly investigating the details to learn more. Natt has received serious injuries and a photo of him shows him in a collar brace. A report in the Manteca Bulletin said Natt has had heart and other health issues. 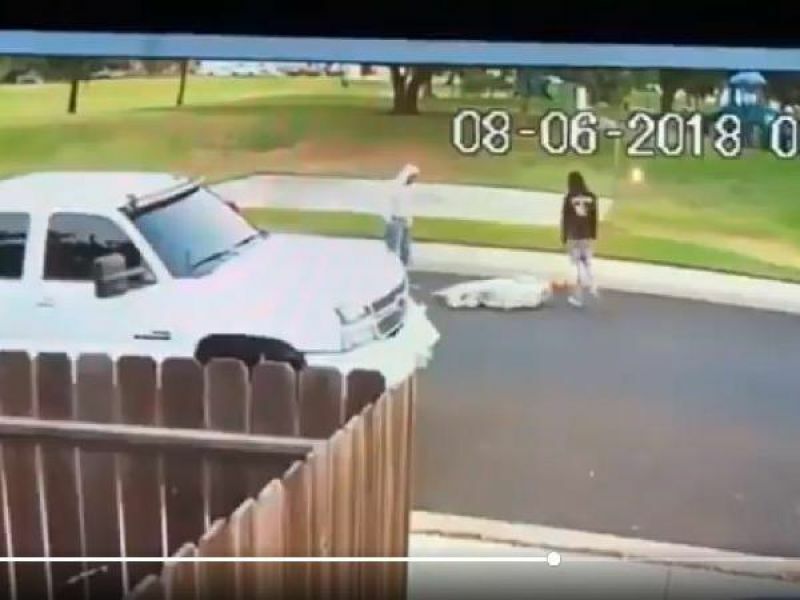 Manteca Police say the incident appears to be a robbery attempt but they are not ruling out the possibility of it being a hate crime. Co-founder of National Sikh Campaign Rajwant Singh said "we are disturbed and appalled by the recent attacks on Sikh-Americans. The fact that Sahib Singh was assaulted and had his turban ripped off his head should be a peaceful call to action for our community and the many supporters of our campaign Sikhs and non-Sikhs alike. This situation serves as a painful reminder that there is still much work to be done in bringing Americans of all faiths, colours, and communities together." He said America is going through an "incredible time of polarisation" and hateful rhetoric has been inserted in the public domain. "The Sikh community could be the easy target of the people who are either enraged or misguided. We hope that civic sense prevails in this nation and we continue to make this nation stronger and harmonious," he added. Executive Director of NSC Gurwin Singh Ahuja said Sikhs wear the turbans to stand up against inequality, injustice and the poor treatment of the oppressed. The organization had launched the National Sikh Campaign & We Are Sikhs last year to spread awareness among Americans about their Sikhs neighbors, what the community stands for and the contributions it makes to the country. Indian American Impact Project, A non-profit organisation focussed on Indian-American political participation, had condemned the attack on Malhi saying hate violence targeting the Indian American community, and the broader South Asian American community, has surpassed post-9/11 levels. Earlier this year, South Asian Americans Leading Together (SAALT) published a report documenting a 45 per cent increase in hate violence and rhetoric against Indian, Sikh, and South Asian Americans from the year prior.